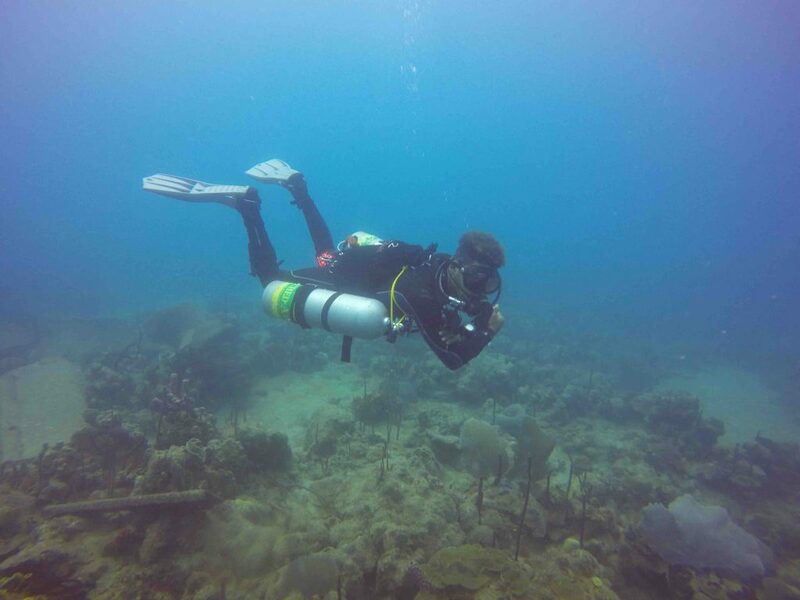 Technical diving and recreational diving are two different ways to practice this amazing sport. So, if you sometimes wonder3 what the difference between one and the other is, you are in the right place. Let’s explain them! According to PADI, the official definition of technical diving is: “Technical (TEC) diving means going beyond recreational scuba diving limits”. But what does that imply exactly? The majority of diving fans started practicing scuba diving to satisfy their curiosity or because they were called by the wonders of the sea. However, this sport makes more and more people fall absolutely in love with it. The diver caught by the scuba bug, always want to know more, to go deeper, or further and get in more challenging and better adventures.. Many times, what began as a hobby, in time turns into a need, even into a career. This sort of scuba divers want to break the limits of decompression, overcome the recreational depths or dive in caves and not only in caverns. In other words, their goal is to conquer places where only a few people can go. In this way, those who decide its time to go for technical diving, prepare themselves attending more and more advanced diving courses. 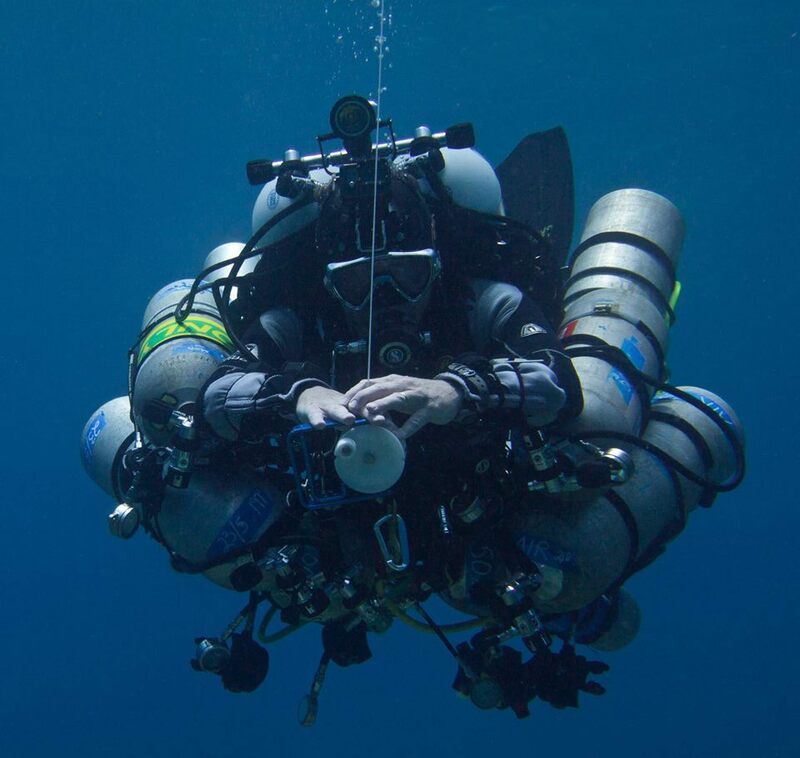 Through these courses, they learn to use different mixes of gases, different configurations of equipment and a different way of “focusing” a dive. 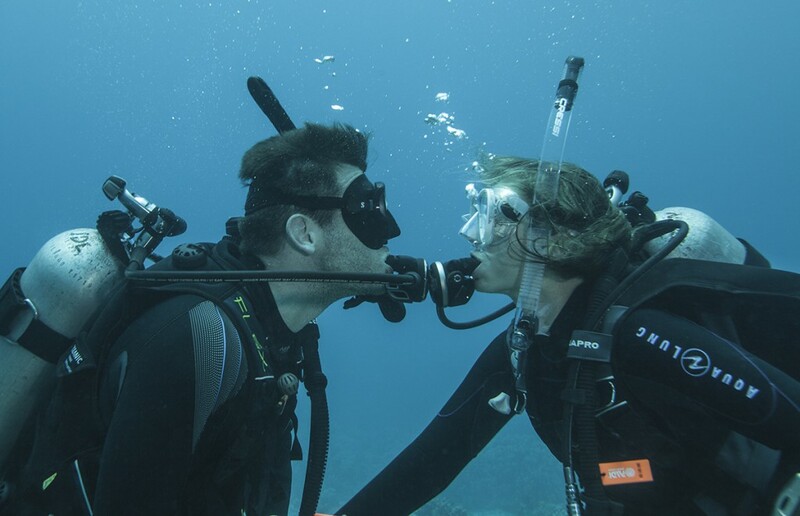 As their scuba knowledge and diving hours increase, their abilities and skills increase with them. 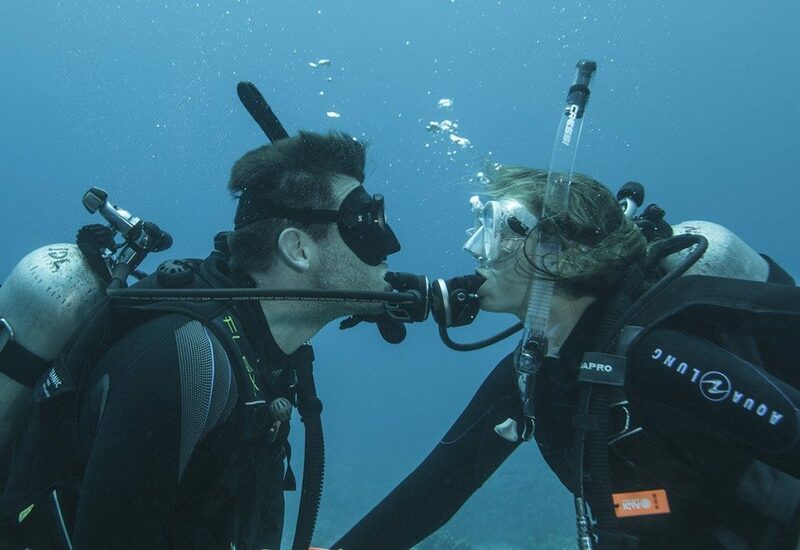 Then, the limits of recreational diving disappear to welcome a new way of diving; Technical Diving. 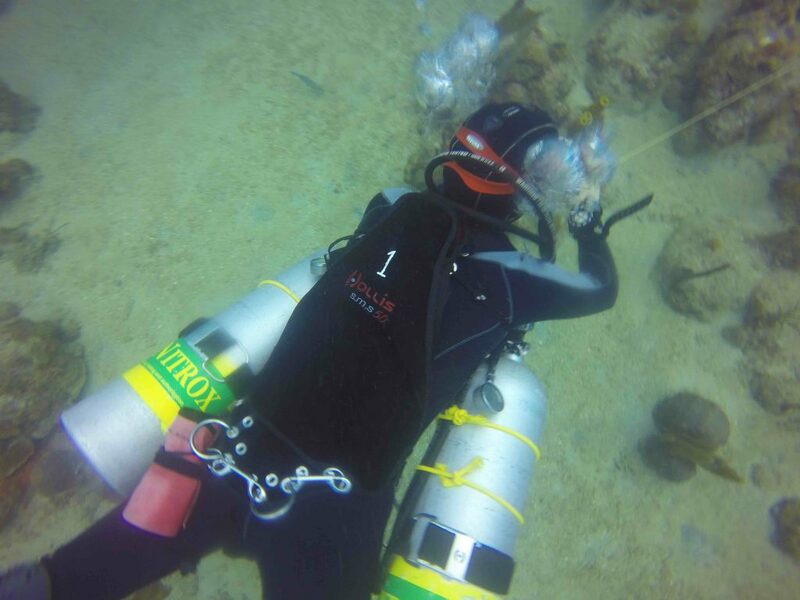 There are different agencies where a diver can learn to become a technical diver, the most known are IANTD, TDI , GUE – Global Underwater Explorers, or PADI TecRec, but there are other ones. There is not just one type of technical diving. The truth is that there are different situations where advanced knowledge or tech diving is necessary. Deep diving, for example, starts with dives beyond 130 feet/ 40 meters. In this kind of technical diving it is absolutely impossible to make a direct ascent to the surface and decompression stages are required. 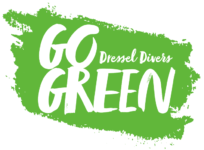 In addition, knowing about different mixes of gas can help you make your dive longer, decrease surface intervals, safety stops times and help with the elimination of nitrogen. But technical diving also challenges the limits in overhead environments such as wrecks and caves. As we said in the article “Everything You Need To Know About Cave Diving In Mexico,” cave diving is another type of tech diving. The reason is that this form of scuba diving takes you more than 70 feet (21 m) deep or farther than 200 linear feet (60 m) from the cave entrance. This means, scuba divers cannot exit and ascent directly from the cave to the surface. There is the rocky ceiling to remind them this. Again, they will need technical training to enjoy this in a safe way. Different depths, distances, technologies and environments combined brings the diverse types of technical diving, such as deep diving in shipwrecks, diving under the ice, or scuba diving with new technologies. Now you know what technical diving is. So, the next time you see a group of divers wearing dry suits, even though the water is at 28 degrees, talking about deep stops or “Trimix”, while planning the dive, you can assume they are going to practice technical diving. Tell us, would you to like to practice technical diving? Feel free to leave your comment below.